I was walking along the beach this morning listening the the audiobook “The Universe Has your Back” by Gabrielle Bernstein. I love listening to audiobooks while I am doing my morning run/walk/beach visit. I find that it can be such a power start to the day to combine positive, thought provoking ideas while moving. This morning as Gabby made this comment, it stopped me dead in my tracks. Joy is a choice we make!!!! How often do we get caught up in the daily in’s and out’s of life and going through the motions, without much thought. What if though, we tried something a little different. What if we made a decision to not only allow more joy into our lives but went about our day, our weeks, seeking joy and making it a priority. This doesn’t need to be a big onerous task. Sure it is a lot of fun trying new things and this can definitely bring a new sense of joy to our lives. But I think the challenge is more in finding joy in the little everyday things. While your going about your day to day task ask yourself “How can I add joy into my task?” Allow joy to be your focus in what you are doing and see your energy shift. 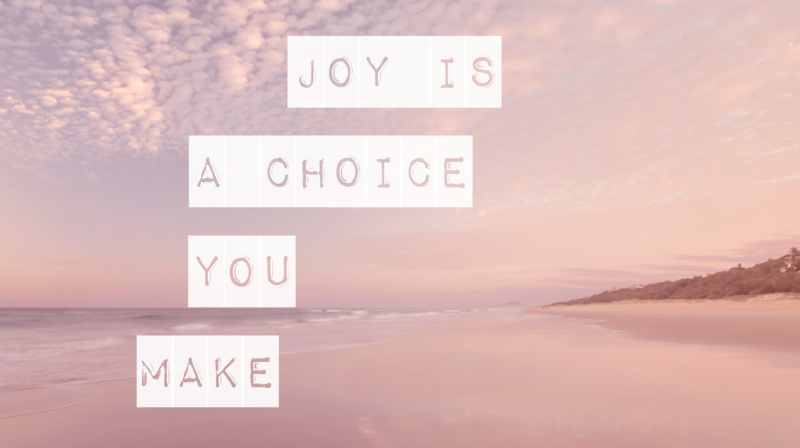 So I challenge you over the next month, to make the choice to add some more Joy in your life. I would love to hear how you go. Share below your thoughts and finding. I know I’m personally looking forward to everyday finding a little more joy in all that I do. For more information on newborn, family and wedding photos, please contact Sunshine Coast Photographer, Mary Wheatley here.